Stay Standing facilitator Minky goes through some exercises with Murielle. When Murielle found herself unsteady on her feet she knew she had to act before she seriously injured herself in a fall. And after her doctor’s recommendation Murielle found herself at Jubilee’s Stay Standing program. The eight-week program is designed to help elderly people with their strength and balance and reduce their risk of falls. Participants are assessed on their first and last weeks of the course to establish an individual exercise program and to see how much they have improved by the end. 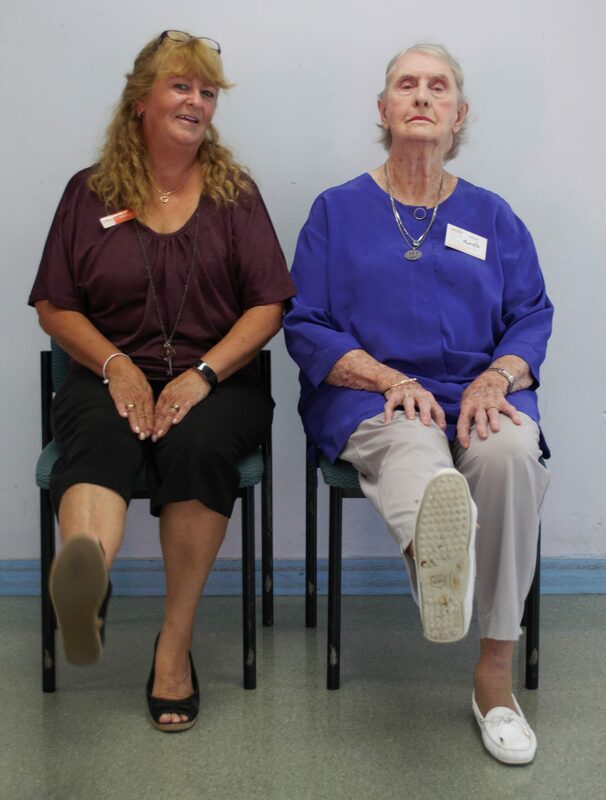 The course also includes talks by Brisbane allied health professionals on topics such as managing chronic pain, managing continence, safety at home, appropriate footwear, managing medication, first aid and safety away from the home. For Murielle, the social side of the program is also important. “I can’t go out on my own anymore but I’ve been able to meet new people and have fun on the (Jubilee Community Care) bus,” she said. While Murielle has now finished her Stay Standing program that will not be the end of the home-based exercises for her. She also is encouraging others to take part in upcoming Stay Standing programs.